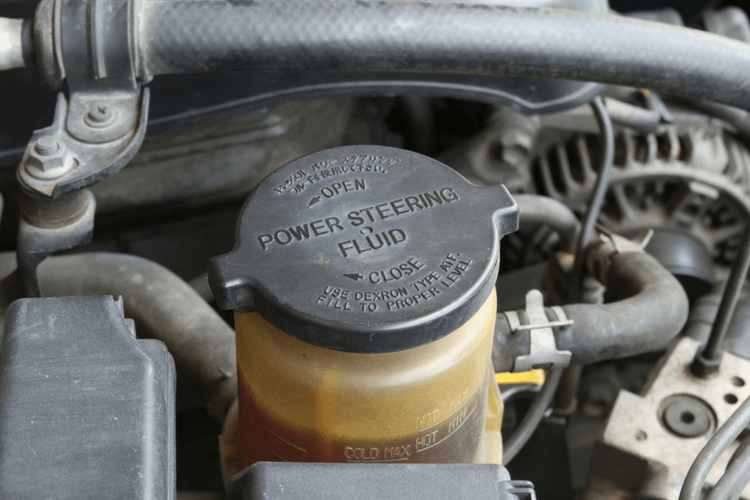 How to Change Power Steering Fluid | Gold Eagle Co. The point of your car’s power steering system is to make it easier for you to turn the steering wheel as you drive. But for the system to work to the best of its ability, it needs to have enough fluid in it. Otherwise, you might hear a squealing or whining noise as you turn the steering wheel, which is a sign your power steering fluid is low or just old. 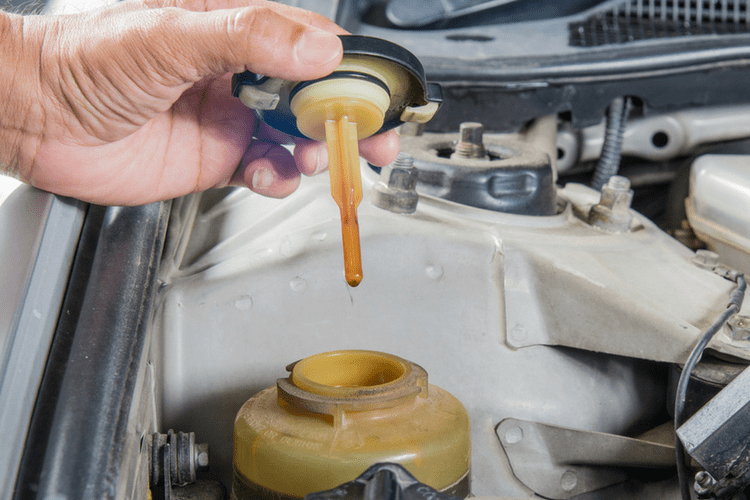 If you don’t notice any obvious signs that you need to change the power steering fluid, keep in mind that car experts recommend this service about every 60,000 miles, though your owner’s manual may also have its own recommendation. If you find out it’s time for this service, consider doing it on your own. Just use these steps on how to change power steering fluid in your car. Your first step is to find out what kind of fluid your vehicle needs to keep the power steering working properly. Your owner’s manual should give you this information. Once you identify and purchase the right power steering fluid for your car, it’s time to change out the old fluid and put the new fluid in. This means locating the right reservoir in the engine area. You should see a cap that either says “power steering fluid” or features a steering wheel icon. Once you see this, remove the cap. Your next step is to lift your car with a jack so the front wheels come up off the ground. This will allow you to fit underneath so you can get the old power steering fluid out. Be sure to put the jack stands under the car before you slide under it. You should also put on gloves and have a small can or drain pan ready to catch the old fluid. You can get the old fluid out with a turkey baster. Just be sure to keep it in the garage—and not the kitchen—once you use it on the old power steering fluid! If there’s still a little fluid left that’s not coming out, you can get in the car, put your key in the ignition, and turn it just until the radio and lights come on—not the engine. This way, you can turn the steering wheel left and right so the pump pushes all the old fluid out, which you can then catch under the car. Now that the old fluid has been drained, you can refill the power steering reservoir with new fluid. Start by putting a funnel into the top of the power steering reservoir so you can pour in the fluid up to the proper level. Then put the reservoir cap back on. You can check to make sure it works by once again turning the key in the ignition until the radio and lights come on. Then turn the wheel sharply to the left and then sharply to the right. Go back to the engine to make sure the power steering fluid is still at the right level, and add more if it’s not. Now you can remove the jack stands from under the vehicle so the tires are on the ground again. At this point, you can start the car and let it run for about 20 seconds. Turn the steering wheel from left to right again, and check on the power steering fluid level. You can even go for a short drive around the block to make sure the steering wheel seems to turn easily, with no odd sounds as you turn it. Now that you know how to change power steering fluid in your car, you can look forward to being able to turn your steering wheel easily once again. Of course, during this process, you might notice some power steering problems, such as a leak. If they’re not simple enough to fix with power steering products, such as No Leak Power Steering Stop Leak, it’s time to take your car to a mechanic for repairs.